Christopher Arnold, M.D. is a board certified orthopedic surgeon and native of Northwest Arkansas. He is a graduate of University of Arkansas for Medical Science (UAMS) and completed his orthopedic residency at Hamot Medical Center in Pennsylvania. Dr. Arnold completed his sports medicine fellowship at Harvard University/Massachusetts General Hospital in Boston. He has worked with the New England Patriots and Boston Bruins. Dr. Arnold has served as an Arkansas Razorback team physician since 2008. He is an advanced specialist in knee arthroscopy, knee replacement, cartilage restoration, shoulder repair, fracture care and sports medicine. 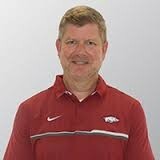 He has served as the head team physician at the University of Arkansas since 2008. Dr. Arnold is a member of numerous professional associations including: American Orthopaedic Society for Sports Medicine, Arkansas State Medical Society, Arthroscopy Association of North America, Assistant Clinical Professor, Department of Orthopaedics – UAMS Oct. 1, 2002, American Association of Hip and Knee Surgeons, Mid-America Orthopaedic Association and the Southern Orthopaedic Association. He is affiliated with five major hospitals in the area: Washington Regional Medical Center, Health South Rehabilitation, North Hills Surgery Center, North Arkansas Medical Regional Hospital and Physicians Specialty Hospital. Dr. Arnold has received competitive grants from the Foundation of Sports Medicine Education & Research (FSMER) First Time Investigator Award: Serum Relaxin & ACL Injuries in Female Athletes, as well as Hamot Second Century Foundation, The Effects of ACL Reconstruction of Knee Joint Contact Pressures in vitro. In addition to his work, Dr. Arnold enjoys snow skiing and hunting. He is also a board member for Physicians Specialty Hospital. He has many hours in continuing education credits to stay abreast of healthcare trends and practices as well as numerous publication and presentations he has produced. He and his wife, Kimberly Paige Arnold, have two children, Chase and Spencer Paige. They reside in Fayetteville. Janet’s challenge-filled journey with rheumatoid arthritis and fibromyalgia began 29 years ago. During most of those years, she felt like she was riding a crazy, unpredictable roller coaster but along the way, learned not only to survive but to thrive in the midst of difficult times. When her diagnosis came at age thirty-five, her promising career as a registered nurse and pharmaceutical sales rep came to a screeching halt. She was forced to retire from a job that she loved and take a new one…one she didn’t want; the job of managing her own health care. To add to the stress, she was a new mother of a son with health issues of his own; she had numerous surgeries followed by setbacks; also went through a painful divorce. But when the smoke began to clear and her health started to stabilize a bit, she wanted to share what she had learned the hard way and give back to the Arthritis Foundation. She became an active and involved volunteer for the Arthritis Foundation and accepted numerous leadership roles. She taught self-help courses and also became certified to lead exercise classes. She did various speaking engagements, chaired large fundraising events and was honored to serve on the Board of Directors. 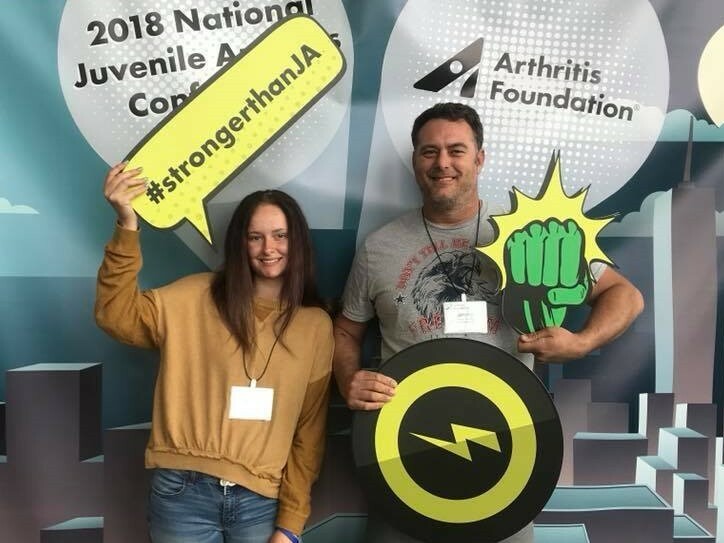 When the biologic medications became available and she experienced her first remission, she walked 2 marathons for “Joints in Motion”, personally raising $10,000 for the Arthritis Foundation. Janet states, “Through the Arthritis Foundation, I met wonderful people who were on their own journey. I found such solace in their support and encouragement. All the while, the Arkansas office was a tremendous resource and assisted me every time I reached out for help or information. So, through the years, I have become a fan of this organization that has helped me…and continues to help so many with ongoing programs and services. 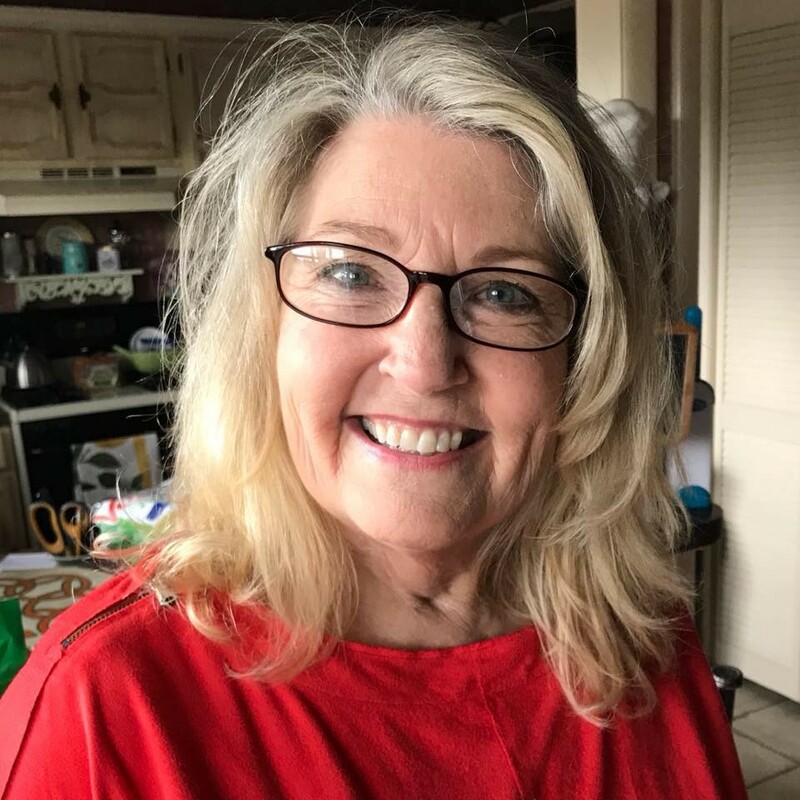 I am thankful that my health has improved to the extent that I once again can co-lead a support group; The Arkansas Arthritis Support Network…the first of its kind in the state. Also to participate in the fun and festive fundraiser, Jingle Bell Run 2018, to aid in ongoing research. I feel so honored being chosen as this years adult honoree and would love to have you join my team, Janets Arthritis Sleighers. Let’s walk or run toward a cure for our nation’s number one cause of disability! Britney’s battle started when she was 9 years old. Swollen knees, foot pain, and much more; but doctors told her it was nothing more than growing pains. When she walked around on a broken foot for over 3 months (after being told several times it was nothing), her dad knew something was wrong. They hit the road to the next doctor, a foot specialist. Indeed, her foot was broken; but on the top of her foot. This raised questions, so he sent us back to our family Doctor. Because of the swelling she endorsed, it fractured her bone. She was referred to a rheumatologist where she was officially diagnosed at the age of 12. Her arthritis stayed quiet for a few years before flaring up again but returned stronger than ever. She was left with no doctor that would treat her because she was too young. Thankfully because of a cancellation she was able to go to the Arkansas Children’s hospital, where she would meet her amazing team of doctors. Unfortunately, Britney developed uveitis due to how long her arthritis went without treatment. This left her blind for weeks, unable to do the simplest things. Doctors appointments everyday, hospital stays, and injections inspired her to become and advocate. Battling her JA, Duane syndrome, hyper mobility, and so many more she’s determined to bring awareness to JA. As a Junior Ambassador she feels it is her duty to share her story and make her arthritis family bigger.